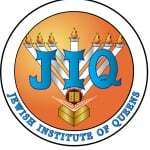 At JIQ, our most valuable resource are the parents of our students. It is they who support the school's policies and encourage and reinforce the lessons learned at school. Please browse the sections below for more information. Please click here to access the "Parent Portal" to view your child(ren)'s homework, exams, teachers and more. If you do not have a login yet, please contact us.